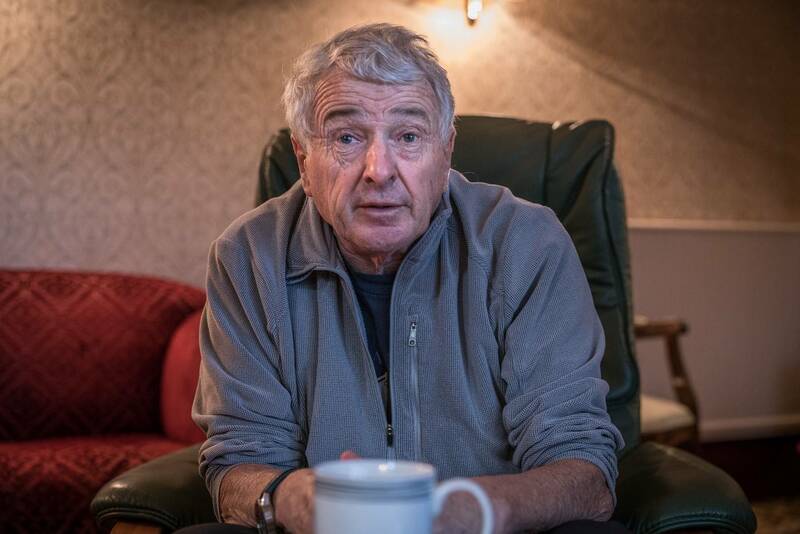 John Allen was a member of Cairngorm Mountain Rescue for 35 years and team leader for 18 of those years. He took part in over 1000 rescues during that time, for which he was awarded an MBE in 2001. On the eve of a ten-year anniversary re-issue of his book, ‘Cairngorm John – a life in Mountain Rescue’ next year, David Lintern met with John at his home to ask – what has changed for hillgoers and the civilian rescue service, and what is the same? I joined the rescue team in 1972, and retired in 2007. I was Team Leader from 1989 to 2007, when I left before they got rid of me! I’m joking, but as a team leader on a rescue you’re often in the control room – coordinating between relatives, the police, helicopters and team members. By 2007 an old leg injury had slowed me down, I wasn’t able to carry a stretcher, and wasn’t out on the hill as much as I’d have liked. You don’t get to know the new team members as well like that. So, it was the right time to step down and let Willie Anderson take over. I was speaking to Willie about it the other day – he’s been on the team almost 40 years, and Millar Harris down at Lochaber has over 30 years. So, there’s just two senior team members, with 80 years or so of experience between them. A lot of time, a lot of rescues, other team members. I enjoyed my time very much, it was a good add-on to my mountaineering in a way. During that time, what were the common errors you saw happen among hillgoers? Talk to the rescue team today and they’ll tell you the overriding issue is Bad Planning. 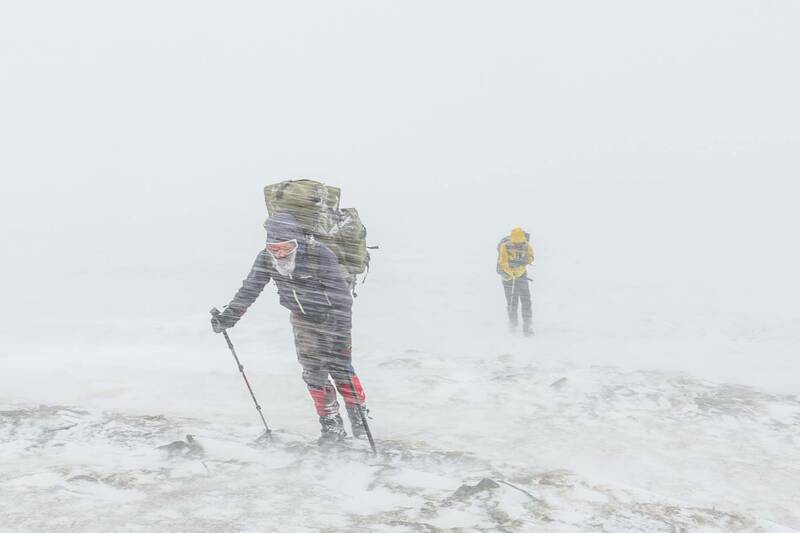 That can range from not looking at the weather forecasts, underestimating the terrain or the severity of the weather, or not having the right gear – a lack of torches, maps, compasses and sometimes waterproofs. Most of these issues tend to end up in bad navigation and persons getting lost, and that then becomes the bottom line. In my day, people didn’t have the electronics they do now, but many rescues were still down to a lack of navigation skills – even climbers, on technical routes, might top out on the plateau and become disorientated and head in completely the wrong direction. But we all make mistakes, we all get tired or confused in bad weather, so it’s not our role to judge or condemn people for that. 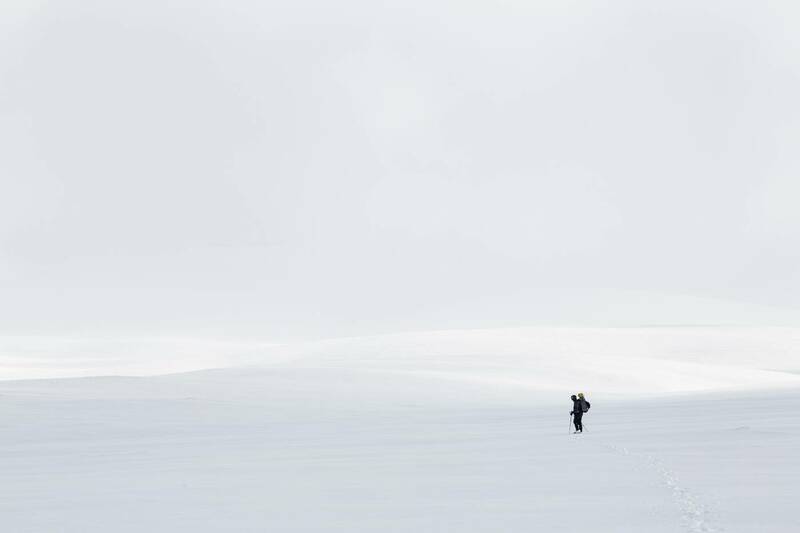 On the Cairngorm plateau, it’s easy to get turned around – there’s very few features to tick off. It can seem so benign, then the weather can switch. One of the things I learned as a member of the team was skilled navigation – using ring contours, counting paces. A lot of people don’t have those skills, especially under pressure and in bad weather. So I can understand people getting lost, but on the other hand – on the plateau, if you just go north you should eventually come off – which shows you some folk don’t have even the basics. That seems to have been the case in some of the rescues this autumn. Apparently, at least two of the groups that were lost recently were using google maps on the plateau… so mapping without contour lines. Is all digital mapping equal? 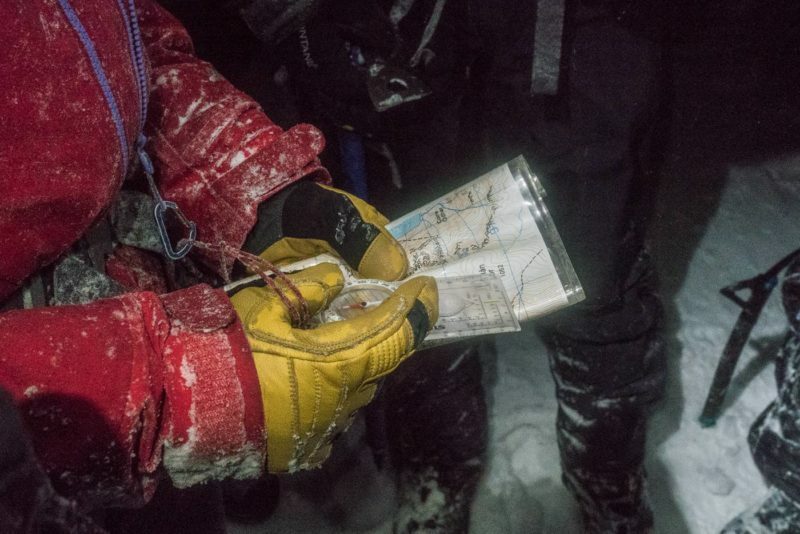 As far as I’m aware, 2 of the 4 recent rescues involved people with no maps and no compasses – they only had phones. In my eyes, there’s so much more that can go wrong with a digital map. Have you tried using one in a gale or a snowstorm? Wearing big gloves? It’s also harder to see the bigger picture on a small screen, in my view – the geographical spread, how one hill connects to the other. Another interesting thing – people live with their phones all the time, it’s their little friend – but it gives a false sense of security. “If I get in trouble, I can call for help.” I don’t think you’ll find any support in Mountain Rescue for the idea that folk should go into the high hills with only a phone. The hill going public should be able to navigate and they should have a map and compass. I remember a call-out we had – the Daily Mail headline ran ‘Saved by a mobile phone’ but in my view it was the phone that caused the incident! 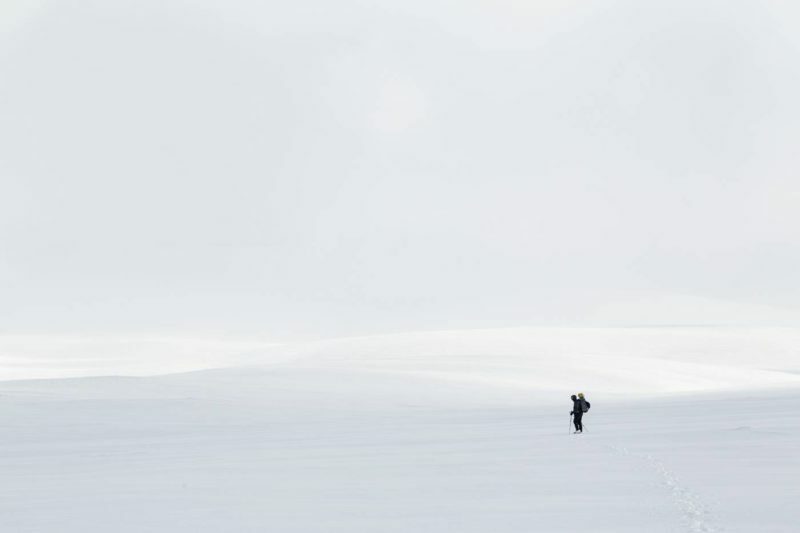 An inexperienced couple went out backpacking in November and got caught out by the weather on the plateau. They called in and were tired, hungry and cold. I asked to talk them through where they thought they were on the map. They replied that they didn’t have it with them. 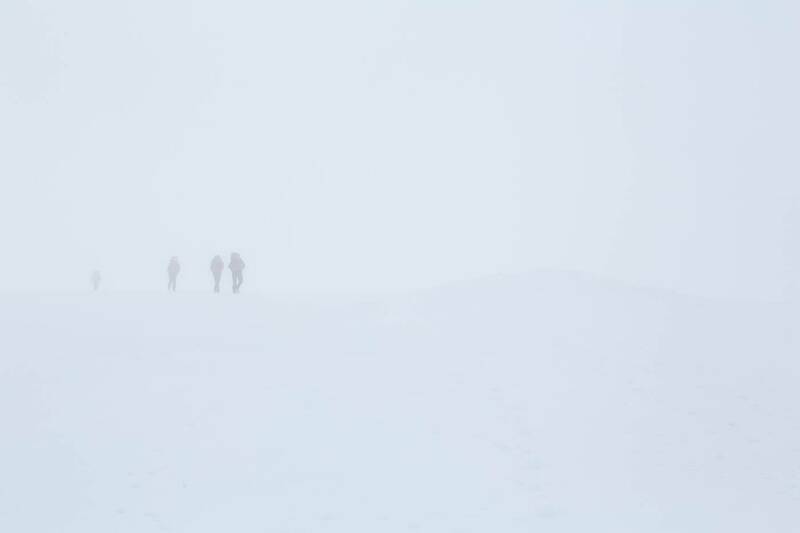 They had put their packs down somewhere and climbed to higher ground to get a signal, but then couldn’t locate them in the blizzard. Everything they needed to keep them alive was in their bags. On the other hand, in all the cases most recently, in the end they were all found because they had a phone. The team were able to SARLOC it. For those not aware, what is SARLOC? A useful tool for teams in the last few years. It’s a phone app, but not one you can download yourself. If you dial for help, the team can text you a web link via a text message. Clicking on that opens the link into a smartphone browser, displays your coordinates and sends them automatically via the internet back to the team. You can only do that if you have a phone and a mobile data signal, of course, but it does help the teams. I’m not saying phones are useless. If you carry one, great – but have it switched off. You’ll need to preserve the battery in the event you need to call for help, not run it down using a mapping app. A part of the difficulty, traditionally, was how to get these safety messages out to an English audience, perhaps less used to just how harsh conditions can be in the Highlands. But the last two cases on the plateau – Willie was quoted in the paper as them ‘not having a scoobie’ – were folk from Glasgow! What other mistakes do people make? A key thing to realise is that making a mistake can be really simple, then escalate. There was an accident during my time involving a group of 3 in Coire an Lochain. We believed they were aiming for Central gully, but ended up on Y gully. 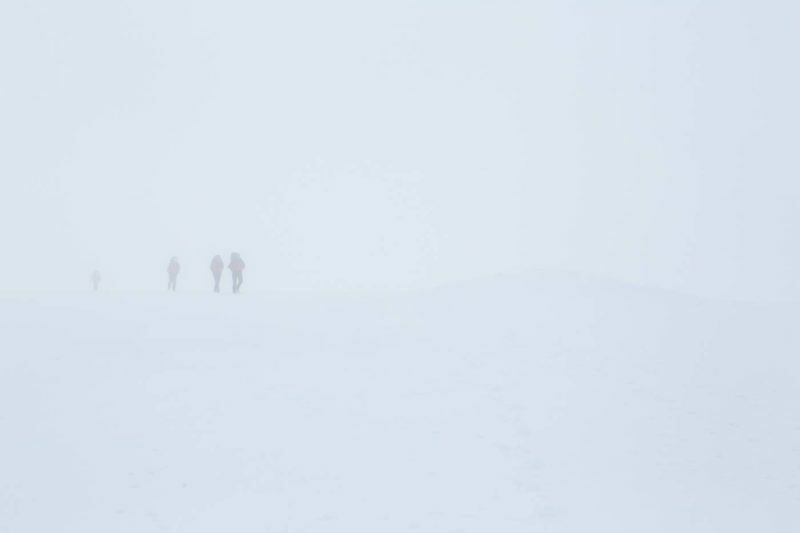 But there were other factors at work too: the leader was the best equipped, and the only one with crampons. Of course, all 3 should have had them, but it’s not a good idea to be the strongest and then use that kit – it leaves the others out of step. The group split up and all perished. It’s an example of how one mistake can lead to another – first navigation in this case, then group dynamics and equipment decisions. What should people do when they find themselves in a position where mistakes are starting to escalate? Just retreat. Stop, and do something else. The decision to retreat is hugely underestimated – people should do it a lot more. It’s a tough call, especially when people might have travelled a long way to walk or climb their route, so I can understand the pressures, but it’s something we should all talk and think about more. I’ve turned back in the Alps – we gave up on a route just a short distance from the summit. It was frustrating! Following that, you need to make sure you can always reverse your moves, so again, navigation comes back into play. The time to retreat is when you are still in control. I don’t know whether there are more avalanches, or just whether the reporting mechanisms are better than in the past, but there are definitely more people reporting being avalanched than there used to be. The stats show that. It may be because of climate change – the constant freeze/thaw conditions we get now. It used to be there was snow on the ground here at glen level constantly for several months at a time. That’s much rarer now, so conditions are likely more unstable on the hill too. How can people mitigate some of that risk? Looking up the SAIS reports for the area they are walking or climbing, first off, will give a rough idea of how much risk there might be. But there are some simple rules of thumb worth restating, too: Avoid gullies when it’s been snowing a lot. Keep the wind at your back – if the wind is blowing from the south, avoid north facing gullies, for example – they’ll be full of fresh snow. 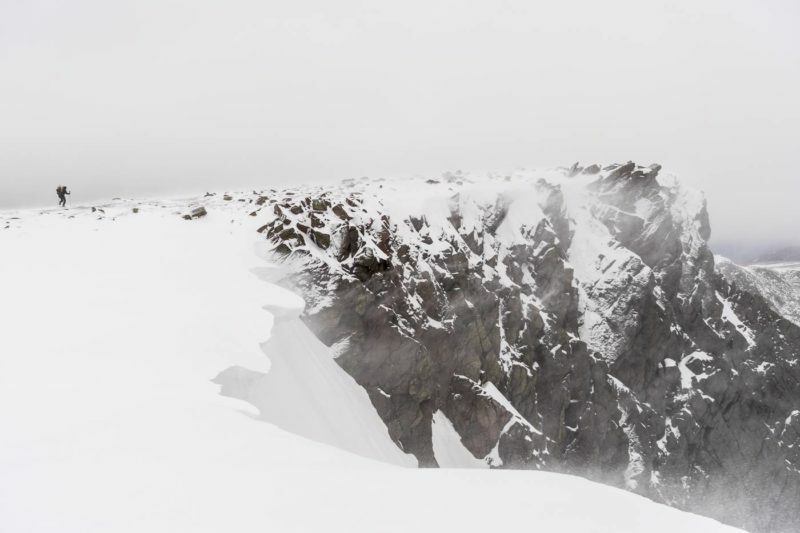 You’re also more likely to be avalanched in a gully or on a slope than a ridge or a buttress, so early on in the season it makes sense to favour ridge and buttress routes. It’s important to say that avalanches don’t just happen in the Alps – more and more they happen here too. Has anything improved over time? As a general rule, people are better dressed and equipped than they used to be. After Goretex came out, we saw less of the shorts and sandals on the plateau! What hasn’t always kept pace with that cheaper, lighter-weight kit are the skills to use it. In one of the most recent cases this autumn, the guys were poorly equipped – no waterproofs, just wearing t-shirts and trainers. But that seems more unusual these days, to be fair. One thing I would stress is that everyone should carry a bivi sack or an emergency blanket with them, whatever the season – any kind of shelter can save your life. I remember a case of a couple climbing, we found them both on the plateau on our search at first light. They had made a wee scoop in the snow just at the top of their route. They’d topped out, exhausted and lost. The woman had a bivi bag and lived, the man didn’t, and didn’t. Especially if someone is injured and can’t move, then getting out of the wind hugely increases survival chances. With a couple of you sharing, you can quickly get warmed up. Air Search and Rescue is now longer the province of the RAF, as it was when you were on the team. 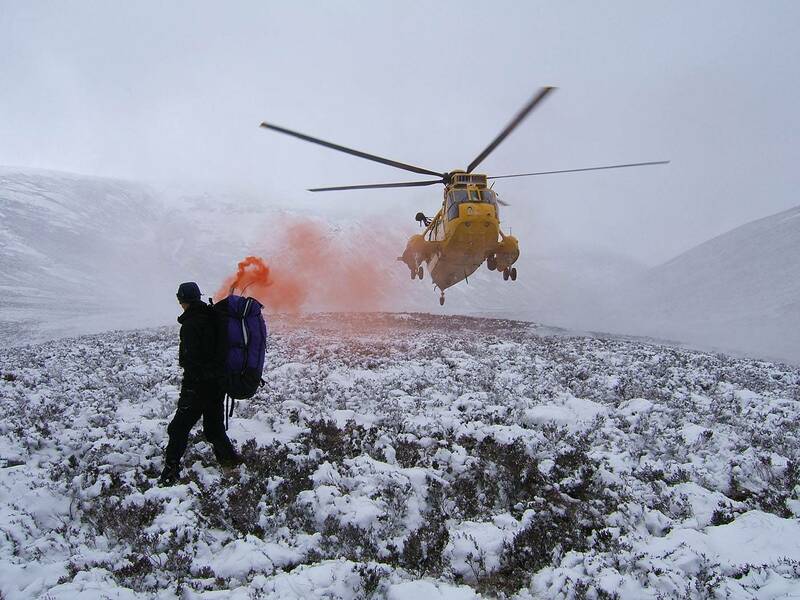 What’s your take on the recent statement by Independent Mountain Rescue on the changing use of helicopters in rescues? I’m sitting on the fence a little at the moment, but it does seem to me that the Rescue teams have a case. The helicopters won’t always take bodies off the hill now, and they won’t always clear the hill of team members, who may find themselves with a several hours walk-out carrying heavy equipment after the rescue itself is complete. These are valid concerns. There was a rescue near the Shelter Stone in the summer where this came to a head. That week the Cairngorm Team had four technical rescues, all involving a lot of ropework. The boys were tired – they aren’t superhuman – but the helicopter was called back to base. And over in Lochaber, some bodies weren’t evacuated. Is the argument that a fatality is not an emergency, and that therefore the helicopter needs to return to base to be readied for the next rescue? If that’s the case, then surely that would also apply to the ground teams. They also need to be ready for their next callout. 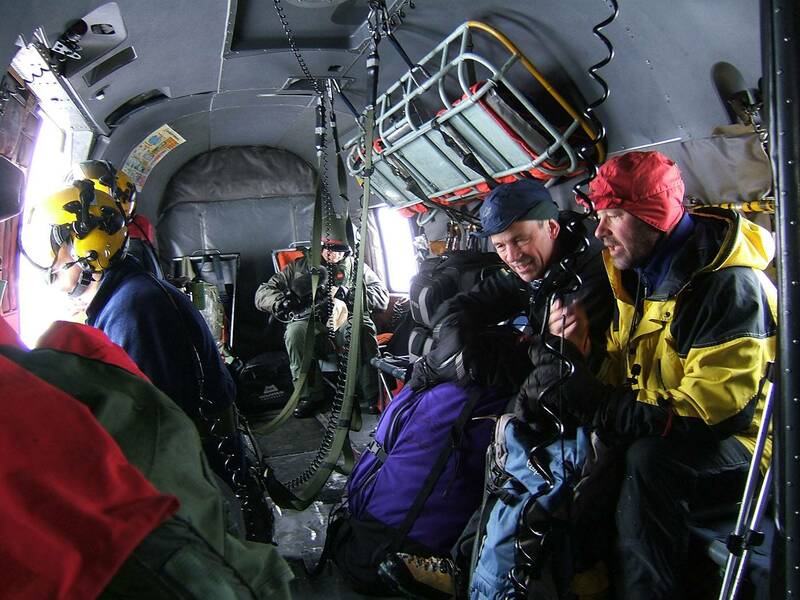 Should volunteer, civilian rescue teams take the same attitude as a professionalised Air Service? I don’t think anyone is suggesting we leave bodies on the hill. But if we’re all involved in the rescue, let’s do the rescue together. Of course, it’s not the air crew’s fault, they are following orders from base. I’m sure the pilots want to fly. I think it’s down to Bristows – the company with the helicopter contract – the Maritime and Coastguard Agency and the Westminster government. …But as an illustration of just how hard the work is without helicopter involvement, we had a case where two boys were avalanched in Coire an Lochain. They weren’t found until the thaw, and so the team’s role was evacuation of the bodies. About 19 team members arrived at 2pm, and we didn’t return to the police station until 1am. It’s really not a long way – but carrying stretchers over rough ground is hard and heavy work, post-holing and so on. Ideally you need 3 groups of 8 for one stretcher, to take turns. Had we had a helicopter that time, we’d have been done by 5pm… ready for our next rescue. What did it mean to be in mountain rescue, to you? It occurred to me recently – watching the Thai cave rescue – that the guys who went in wanted to help because they were good at it. It’s not about money, or heroism, it’s more about putting skills to good use. I thought it was a good analogy for what being in Mountain Rescue is all about. We are mountaineers. This is our sport, something we are good at and enjoy. Who else is there to rescue people like us? Wanting to help other walkers and climbers is a natural thing for those who live in the area and volunteer in Mountain Rescue. I think that’s important to get across. John’s (highly recommended!) book is Cairngorm John: A Life in Mountain Rescue published by Sandstone Press.